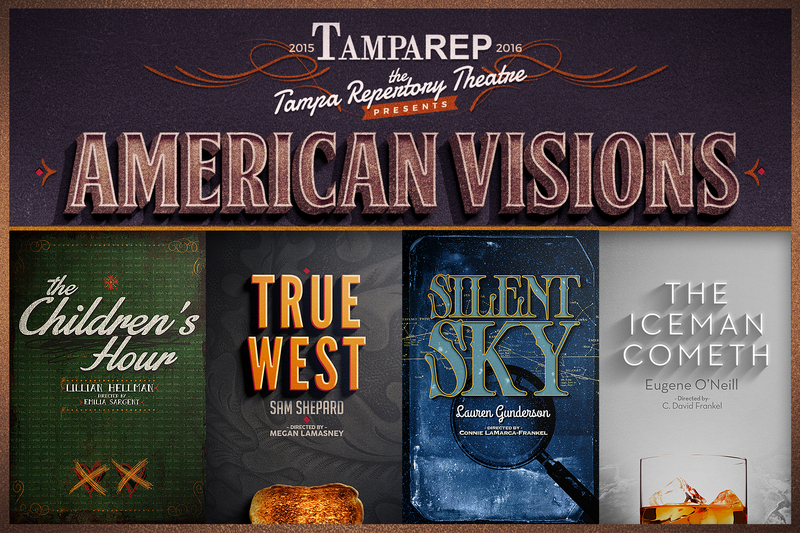 American Visions, TampaRep’s fifth season, is under way. 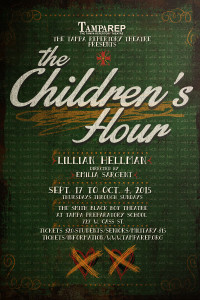 The first play of the season, The Children’s Hour, just completed a successful run in the Smith Black Box Theater at Tampa Preparatory School. 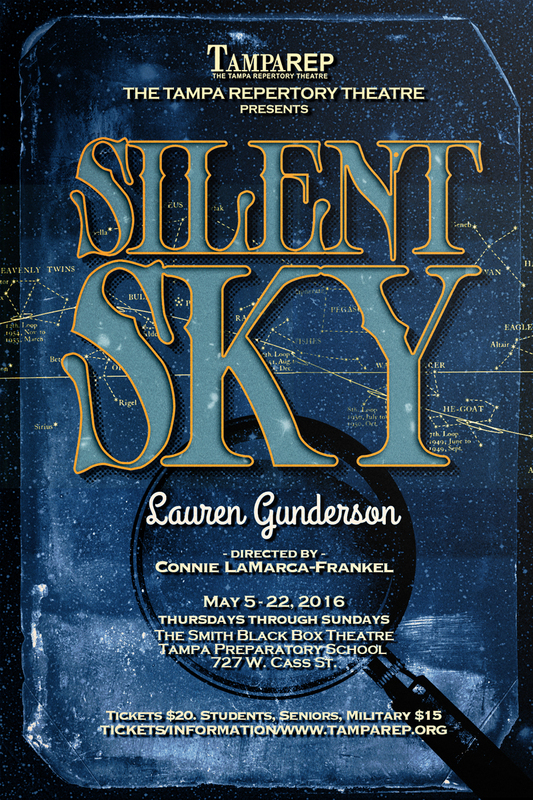 We’ll be back at Tampa Prep in May for Silent Sky. 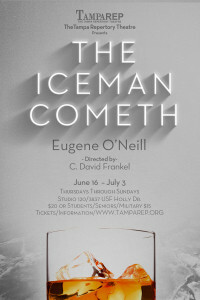 We’re also doing two productions in Studio 120 on the Tampa campus of USF: True West and The Iceman Cometh. Four plays, two by women, two by men. Four plays, two classics, two classics-in-the-making. 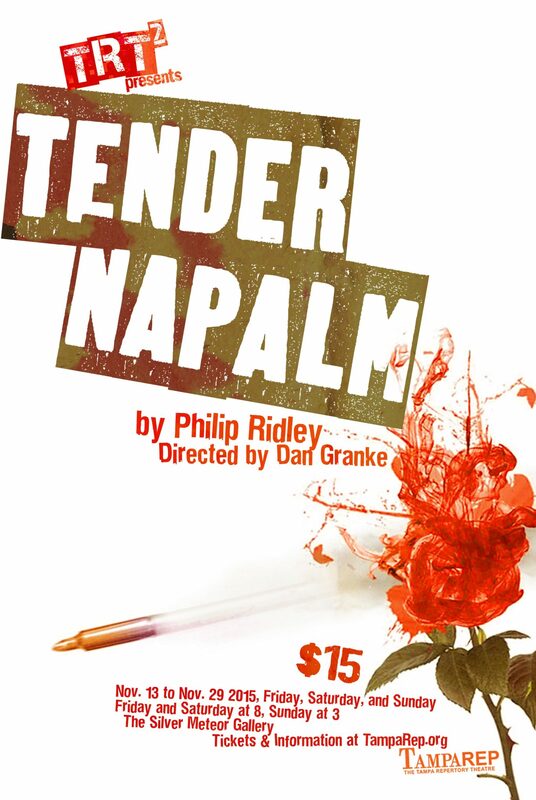 Four plays, each in its own way innovative, provocative, and classic. Banned in Boston and London, despite its critical and commercial success on Broadway, Lillian Hellman’s 1934 “drama about the emotional costs of prejudice” continues to raise pertinent questions in our day. Written long before Facebook and other social media made cyberbullying a word of the day, The Children’s Hour shows how gossip and lies can go “viral” within any community. And when a young girl seeks revenge on her teachers, her whispered words shatter lives. Set in a small boarding school in New England run by long-time friends Karen and Martha, the two, along with Karen’s fiancé, find themselves having to remake their lives as a consequence of their own — and others’ — actions. 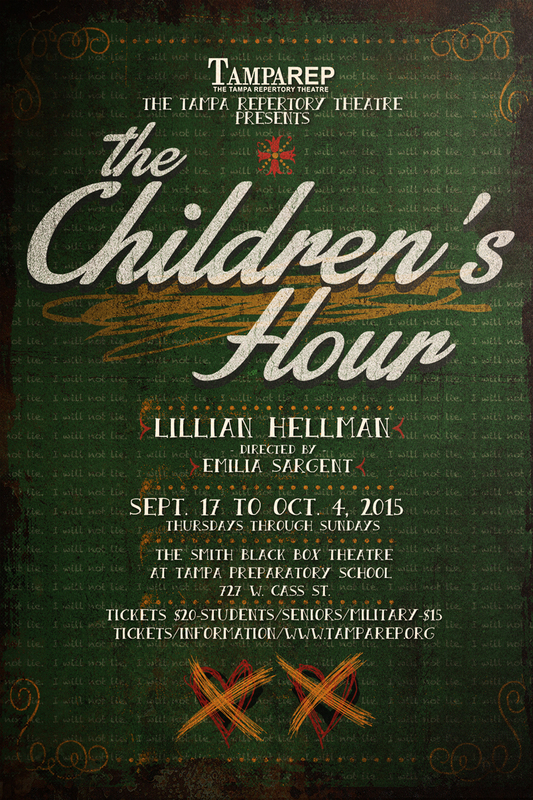 The Children’s Hour will open on Sept. 17th in the Smith Black Box Theatre at Tampa Preparatory School, directed by Emilia Sargent. An experienced director, we’re excited that Emilia will be her TampaRep directing debut with A Children’s Hour (and don’t forget you can see her onstage this season in Betrayal). 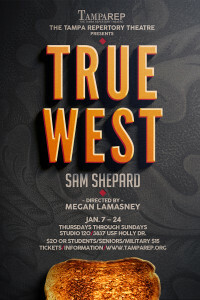 We’re also excited that Megan Lamasney will return to the TampaRep main stage with a production of Sam Shepard’s True West, “one of his sharpest, funniest examinations of his favorite theme, the divided nature of the American soul.” Megan directed TampaRep’s first production, Alcestis, and, most recently, staged Romeo and Juliet for the Tampa Shakespeare Festival. Now she’s taking on Shepard’s tale of two brothers who struggle to find their own kind of success in consumption- and celebrity-swamped American culture. 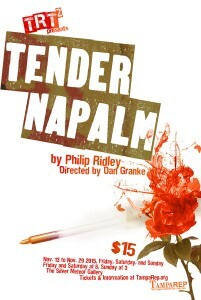 This production features Jack Holloway and Dan Granke as the modern-day Cain and Abel. You’ll never think of beer, typewriters, or toast in the same way after seeing True West, opening on January 7th, 2016 in Studio 120 at the University of South Florida. 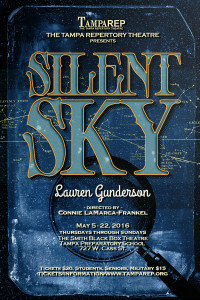 TampaRep is proud to present the Florida premiere of Lauren Gunderson’s magical play, Silent Sky. Gunderson focuses on Henrietta Leavitt, a young woman who yearns to be an astronomer but can find work only as a “computer,” counting the stars in the photographic plates taken at the Harvard Observatory. Henrietta, though, is not one to let convention stand in her way, and she eventually makes it clear to all around her that she – and the other “computers” – have more to contribute to science and to life than numbers. By turns funny, exhilarating, and thoughtful, the play brings these almost forgotten women to life in theatrical style. Connie LaMarca-Frankel (Cold Storage, Phoenix, I Do! I Do!) 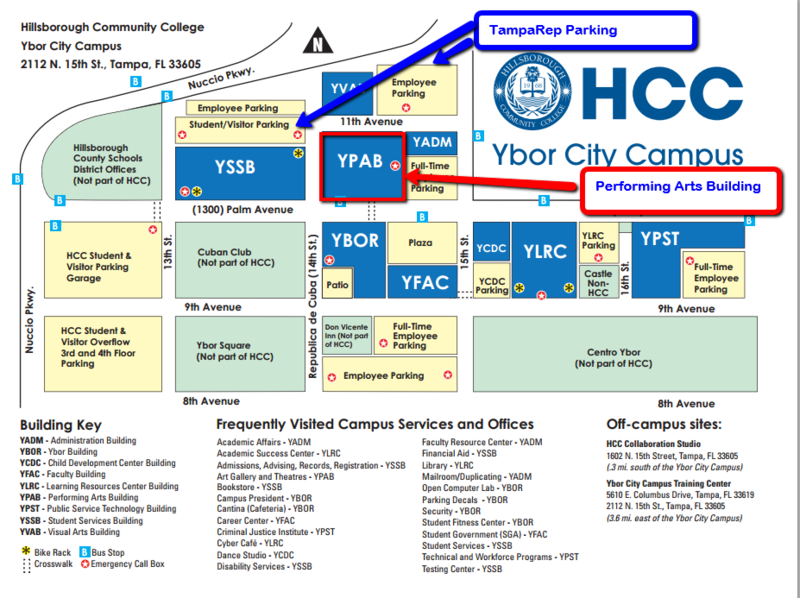 directs at Tampa Prep, opening on May 5th, 2016. It’s vicious and poetic, violent and romantic. A man and woman are the only people in the world and their reality is constantly evolving, all depending on the stories they tell. With seismic shifts and beautifully shocking language, Philip Ridley’s incendiary play explores the psychological and physical relationship between a man and a woman locked in an eternal struggle, as they break through to the truth. 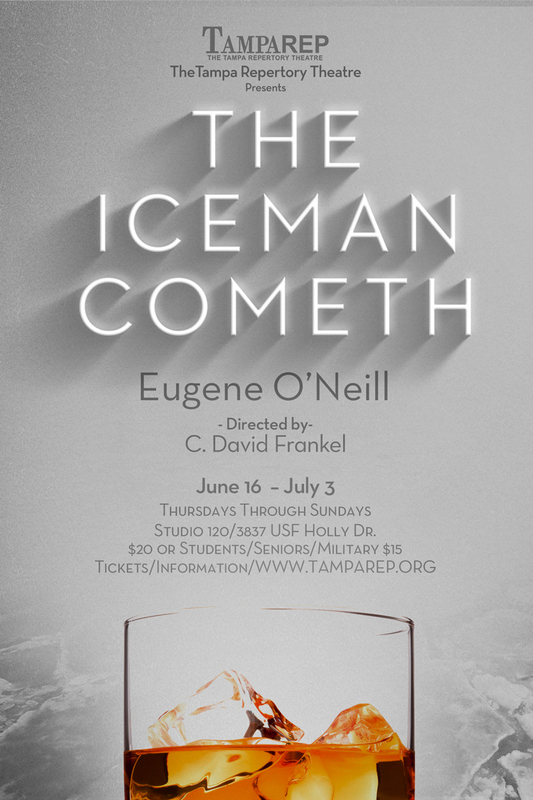 Directed by Dan Granke (Bethany), the production features Derrick Phillips (fresh from his performance as Joe Cardin in The Children’s Hour) and Betty-Jane Parks (nominated for her solo performance as Flannery O’Conner in A Peculiar Crossroads). 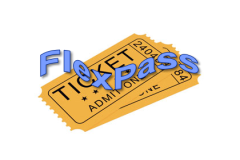 There’s Still Time to Buy a FlexPass! We hope you’re excited about our season.If you’re planning to see Silent Sky and The Iceman Cometh you should consider a FlexPass for $99 or a FlexPass Mini for only $60. We started off our fifth season, American Visions, with our successful production of The Children’s Hour. Let’s make American Visions our best season yet (until the next one, that is). 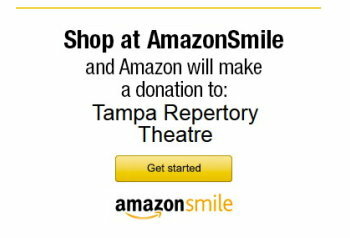 Theatre that’s innovative, provocative, classic: TampaRep.